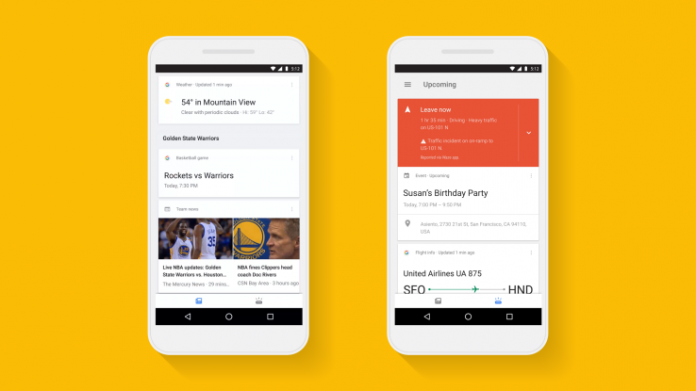 Google has begun rolling out a new version of its Search app with a reconfigured layout that’s also more personalized. Rather than offering things up in a single column with scrolling screens of information, the revised app splits it up into two areas: current topics and upcoming events. Current topics is a section devoted to news, sports, weather, and other details that a user might be interested in checking. The upcoming events are is comprised of details from meetings, important dates, travel, calendars, and so forth. Android users may recognize the new Google Search as it closely resembles the Google Now launcher experience. Moreover, it looks to be one step closer to the personal assistant that Google is hoping to be. Indeed, the more you use it, the smarter it gets. Although it appears to default to loading information based off previous Google searches, the app can be configured with personal settings such as stocks to watch, favorite teams, and more. The revised version of Google Search is said to be pushing out to Android users now; the iOS client should be quick to follow.